A MOST UNIQUE MEMBER OF THE MODERN FAIRY TALE FAMILY! 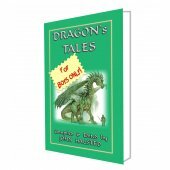 Eight-year-old Princess Irene lives a lonely life in a wild and desolate country full of mountains and valleys. Her fathers palace, built upon one of the mountains, was very grand and beautiful. 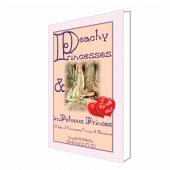 The princess was born there, but, soon after her birth, she was sent away to be brought up by country people in a large house, half castle, half farm-house, on the side of another mountain, about halfway between its base and its peak. Her father the king is normally absent attending to affairs of state, and her mother is dead. Irene has never known about the existence of the goblins which lurk in the underground mines, but her nursemaid Lootie does know about them. These goblins are grotesque and hideous beings, who centuries ago were human, but due to various reasons, they were driven underground and became malformed and distorted by their new lifestyle. This caused them to despise the humans above the ground and vow revenge against them. 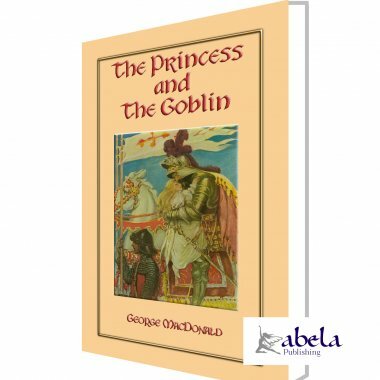 When the peaceful kingdom is menaced by an army of monstrous goblins, intent of revenge, the brave and beautiful princess Irene joins forces with, Curdie, a resourceful peasant boy to rescue the noble king and all his people. The lucky pair explore the mines and battle the evil power of the wicked goblin prince armed only with the gift of song, the miracle of love, and a magical shimmering thread given to her by a beautiful lady who lives in the attic of the great house. But just who is this beautiful lady and what does she want? A SOUND of many soft feet followed, but soon ceased. Then Curdie flew at the hole like a tiger, and tore and pulled. The sides gave way, and it was soon large enough for him to crawl through. He would not betray himself by rekindling his lamp, but the torches of the retreating company, departing in a straight line up a long avenue from the door of their cave, threw back light enough to afford him a glance round the deserted home of the goblins. To his surprise, he could discover nothing to distinguish it from an ordinary cave in the rock, upon many of which he had come with the rest of the miners in the progress of their excavations. The goblins had talked of coming back for the rest of their household gear: he saw nothing that would have made him suspect a family had taken shelter there for a single night. The floor was rough and stony; the walls full of projecting corners; the roof in one place twenty feet high, in another endangering his forehead; while on one side a stream, no thicker than a needle, it is true, but still sufficient to spread a wide dampness over the wall, flowed down the face of the rock. But the troop in front of him was toiling under heavy burdens. He could distinguish Helfer now and then, in the flickering light and shade, with his heavy chest on his bending shoulders; while the second brother was almost buried in what looked like a great feather-bed. "Where do they get the feathers?" thought Curdie; but in a moment the troop disappeared at a turn of the way, and it was now both safe and necessary for Curdie to follow them, lest they should be round the next turning before he saw them again, for so he might lose them altogether. He darted after them like a grayhound. When he reached the corner and looked cautiously round, he saw them again at some distance down another long passage. None of the galleries he saw that night bore signs of the work of manor of goblin either. Stalactites far older than the mines hung from their roofs; and their floors were rough with boulders and large round stones, showing that there water must have once run. He waited again at this corner till they had disappeared round the next, and so followed them a long way through one passage after another. The passages grew more and more lofty, and were more and more covered in the roof with shining stalactites. It was a strange enough procession which he followed. But the strangest part of it was the household animals which crowded amongst the feet of the goblins. It was true they had no wild animals down thereat least they did not know of any; but they had a wonderful number of tame ones. I must, however, reserve any contributions toward the natural history of these for a later position in my story. At length, turning a corner too abruptly, he had almost rushed into the middle of the goblin family; for there they had already set down all their burdens on the floor of a cave considerably larger than that which they had left. They were as yet too breathless to speak, else he would have had warning of their arrest. He started back, however, before any one saw him, and retreating a good way, stood watching till the father should come out to go to the palace. Before very long, both he and his son Helfer appeared and kept on in the same direction as before, while Curdie followed them again with renewed precaution. For a long time he heard no sound except something like the rush of a river inside the rock; but at length what seemed the far-off noise of a great shouting reached his ears, which however presently ceased. After advancing a good way farther, he thought he heard a single voice. It sounded clearer and clearer as he went on, until at last he could almost distinguish the words. In a moment or two, keeping after the goblins round another corner, he once more started backthis time in amazement. He was at the entrance of a magnificent cavern, of an oval shape, once probably a huge natural reservoir of water, now the great palace hall of the goblins. 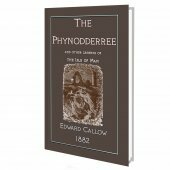 It rose to a tremendous height, but the roof was composed of such shining materials, and the multitude of torches carried by the goblins who crowded the floor lighted up the place so brilliantly, that Curdie could see to the top quite well. But he had no idea how immense the place was, until his eyes had got accustomed to it, which was not for a good many minutes. The rough projections on the walls, and the shadows thrown upward from them by the torches, made the sides of the chamber look as if they were crowded with statues upon brackets and pedestals, reaching in irregular tiers from floor to roof. The walls themselves were, in many parts, of gloriously shining substances, some of them gorgeously colored besides, which powerfully contrasted with the shadows. 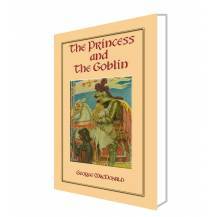 Curdie could not help wondering whether his rhymes would be of any use against such a multitude of goblins as filled the floor of the hall, and indeed felt considerably tempted to begin his shout of One, two, three! but as there was no reason for routing them, and much for endeavoring to discover their designs, he kept himself perfectly quiet, and peeping round the edge of the doorway, listened with both his sharp ears.